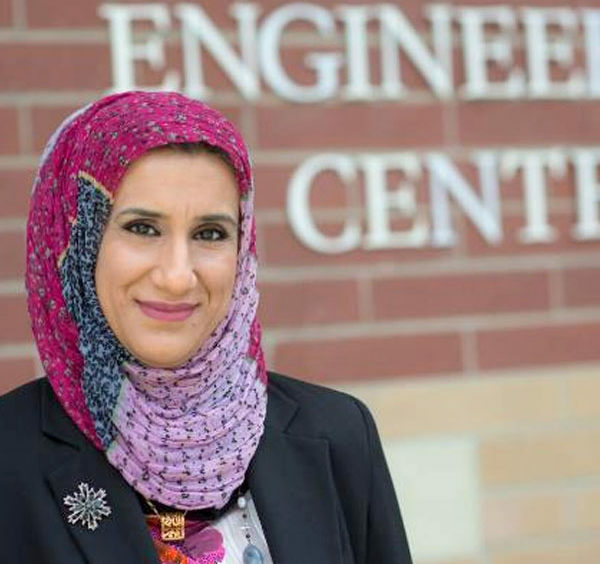 Luma Al Naserawi had been a professor of mechanical engineering at Baghdad University for 12 years when the security situation rapidly deteriorated and her husband and family began to receive threats. With her sister-in-law already living in Boise, the International Rescue Committee (IRC) assisted in the family’s resettlement there in early 2015. Fluent in both English and Arabic, Luma began interpreting and volunteering to help other refugees at the English Learning Center in Boise. Due to her professional background, the IRC connected her with Global Talent Idaho (GTI) where she learned how to navigate the U.S. job market and received one-on-one training in writing a professional resume and cover letter, interviewing, networking, LinkedIn and more. As part of her training, Luma participated in one of GTI’s Career Summits, which are full-day events focused on mock interviews and networking. This particular event was special because Boise Mayor Dave Bieter attended along with a local TV news crew that captured Luma’s story. Heard by the right person at Boise State University (BSU), Luma’s television appearance led to an interview and a job as an introductory laboratory instructor for engineering students. Not surprisingly, Luma’s greatest take-aways from her GTI training include an understanding of the interview process and the importance of making a good impression. Luma has now been at BSU for nearly two years while raising her three children. She anticipates returning to school in the near future to finish her master’s degree in Engineering.